Next work day for the classroom. 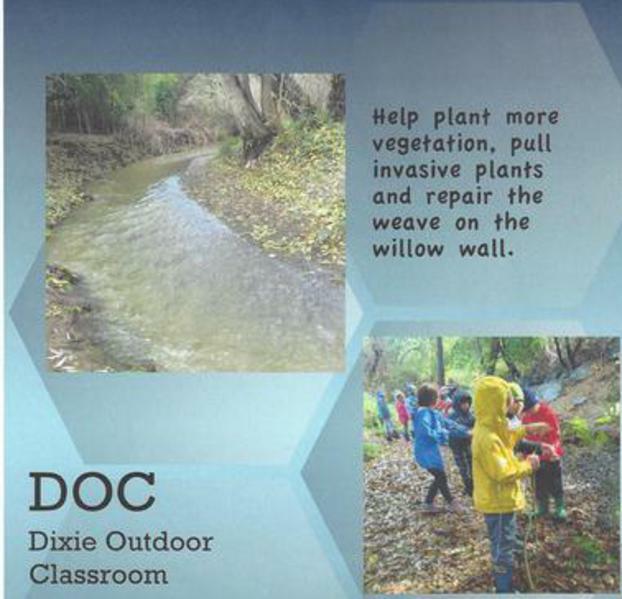 Come join us at the Miller Creek site for the Dixie Outdoor Classroom. 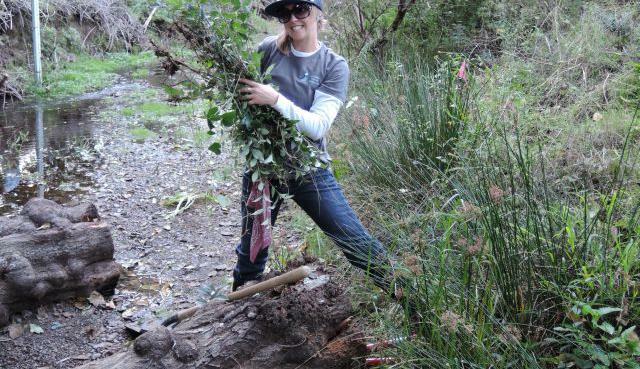 HELP US plant native trees around the outdoor classroom. Corey and Rachel assembling the benches during our February 10, 2016 work day. 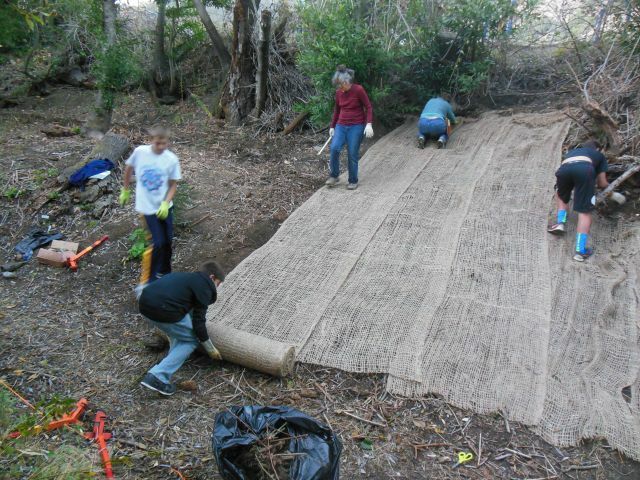 DOC Team laying the jute prior to spreading seeds and plantings. Sarah Phillips helping during our Work Day on November 18, 2016. 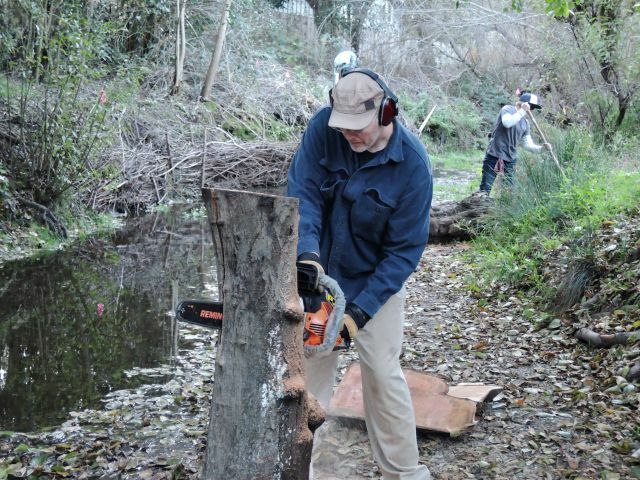 Alex Stadtner helping during our Work Day November 18, 2016.